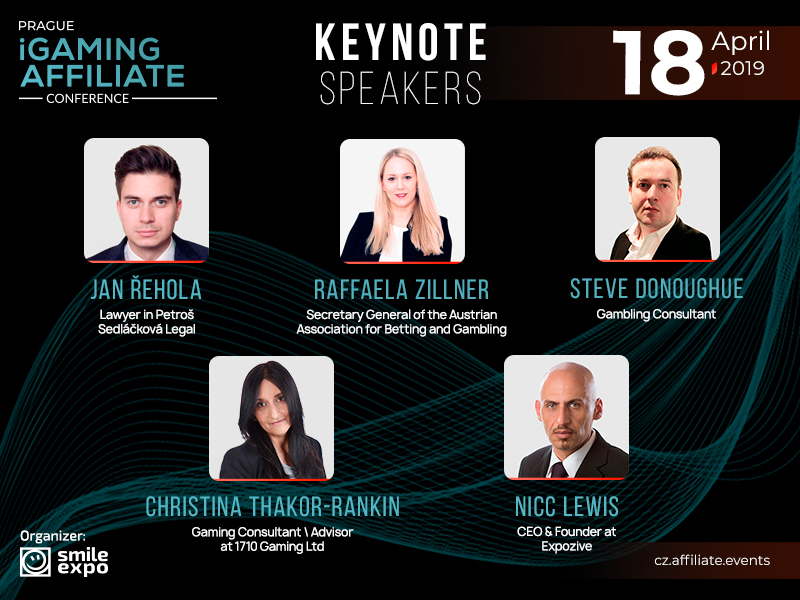 On April 18th, for the first time ever, the capital of the Czech Republic will host an event at the intersection of iGaming and affiliate marketing. Its organizer, Smile-Expo, will gather marketers, arbitrage experts, online casino operators, and investors, all in one place. The event will take place in the format of a ‘conference + demo zone’. Jan Řehola — A lawyer who worked for 4 years for the Ministry of Finance of the Czech Republic as a Director of the Gambling Department. He will take part in the discussion and feature the pros of blockchain and cryptocurrencies in the iGaming sphere. Steve Donoughue — A management consultant specializing in the gambling industry for 20 years with a focus on business strategies. In his presentation, Steve will talk about why affiliates need a trade association. Christina Thakor-Rankin — A consultant with 25-years of experience in the betting and gaming industry. She will talk about how to attract and retain Generation Z clients. Nicc Lewis — An experienced marketer and CEO at Expozive agency. He will unveil the prospects affiliate marketing exposes to the modern iGaming sphere. The Demo Zone is a special place gathering companies from the iGaming sphere – marketing agencies, casino operators, software developers, affiliate networks, and legal firms. Attendees will have time for networking: They will be able to establish business contacts, investors will find a prospective startup, while young companies will get professional advice from experienced specialists. The conference is organized by Smile-Expo, a company that’s been carrying out events on innovative technologies in business for 13 years.